John T. Alexander II, MD is the leading provider of the QuickLift® Face Lift procedure in the San Diego, California area. 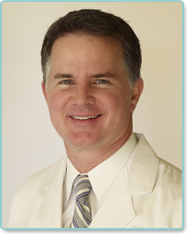 John T. Alexander II, MD is a board certified plastic surgeon based in San Diego, California. He continues a tradition of excellence in plastic surgery, having learned firsthand techniques and systems developed by his father, Dr. John T. Alexander, Sr., one of Southern California's preeminent plastic surgeons. Dr. Alexander has authored chapters in surgical textbooks and published original Plastic Surgery research. He has lectured and presented his results at national and international meetings. His other interests include art, music, writing and he is an instrument-rated pilot. He and his wife, Candese, and their two children reside in San Diego, CA. In addition, he is experienced in the most recent advances in cosmetic plastic surgery, such as the QuickLift®, he is a specialist in chemical peels and laser surgery. Dr. Alexander was selected to author the chapter “Facial Resurfacing” in Plastic Surgery, the premiere textbook of the specialty. He also specializes in facial cancer reconstruction and endoscopic procedures; publishing his own research about endoscopic plastic surgery. This has allowed him to broaden the scope of facial rejuvenation treatments available to his clients to consistently achieve superior results.